Vinyl decals for the windows and doors were designed to give the space a coherent feel. The color scheme of the honeycomb pattern and logo were based on the existing wall colors chosen by the client. The logo and font design were chosen after a brief discussion on appropriate feel of the new salon. 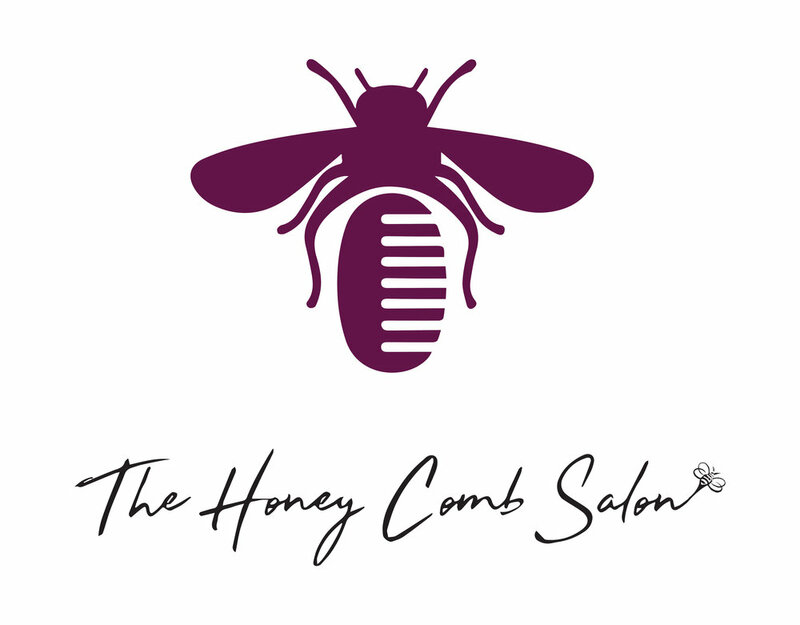 The logo combines a honey bee with a comb to give the salon a modern and playful feel. Business cards for each employee were designed using the logo and honeycomb pattern. A service menu was designed for door application as well as a handheld version for guests to look at upon arrival. The service menu integrates the customized font as well as the logo and honeycomb pattern to give users a one stop shop of the brand itself. Two designs of takeaway stickers were designed based on the business cards honeycomb and logo pattern. A series of social media content for Facebook and Instagram was produced including open house reminders and fun quotes. Profile pictures and cover photos were also included.